While at Millésime Bio in Montpellier this year, Eliza Frey and Derek Dahlen met Jason Cole, an American wine educator living in France. He teaches at SupAgro as part of their European Vine and Wine Masters Program: Vinifera Euromaster. SupAgro is an international center for higher education in agricultural sciences that teaches students from around the world. Jason took a bottle of our 2009 Organic Zinfandel to share with his class. Zinfandel is a fascinating wine for Europeans, as it is a New World grape that isn't grown outside the US. 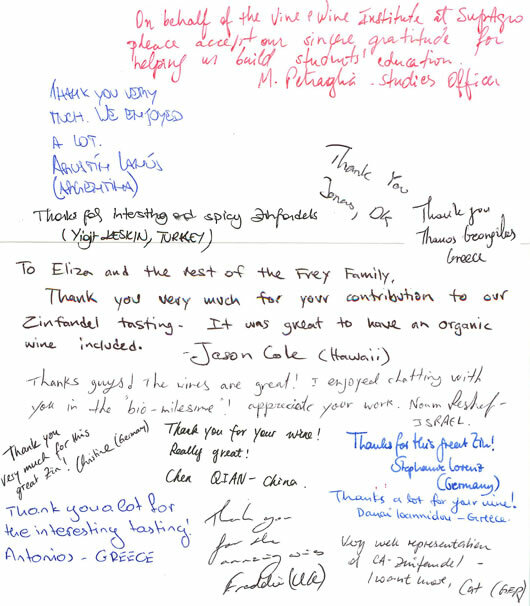 The students from all over the world were thankful and intrigued by an organic wine from California in their selection, as they expressed personally bellow. Thanks Jason for exposing your class to Frey Organic Zinfandel! 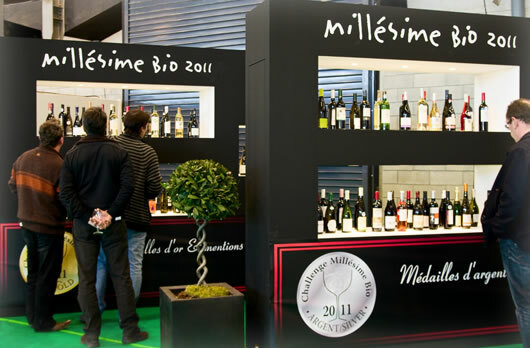 Millésime Bio 2011, Montpellier, France, where Frey Pinot Noir wins a Bronze! 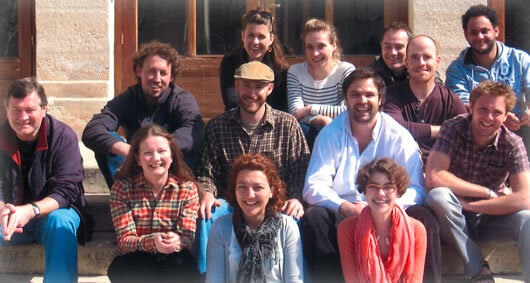 In January 2011, Eliza Frey, Derek Dahlen and Alex Frei represented Frey Vineyards at Millésime Bio, Europe’s premier organic wine conference, held each year in Montpellier, France. Frey was awarded a bronze medal for our 2009 Pinot Noir – quite an honor for a no-sulfites-added organic wine at a French wine competition! The conference featured over 500 producers of wines made from organically grown grapes and an ever-increasing number of producers making wines with no added sulfites. It is great to know that the additive-free wine culture in Europe is alive and well. Along with our friends Phil and Judy LaRocca of LaRocca Vineyards in Forest Ranch, California, we represented organic, non-sulfited winemaking in the USA and stressed the need for purity and the exclusion of additives as the European Union struggles to develop their organic wine standards. Attendees at the Millésime Bio 2011, Montpellier, France. Happy Spring from Frey Vineyards! 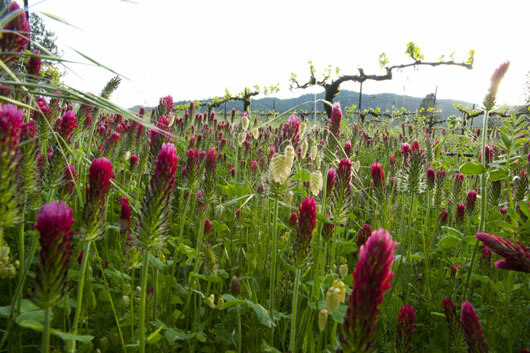 Frey Organic Pinot Noir vineyard with clover cover crop. Happy Spring from all of us at Frey Vineyards! It has been another wet and cold spring here in Mendocino County, Northern California. Bud break on the grapes was about 2 weeks late and we have already received well over our annual rainfall. In the vineyards, pruning is almost finished and our inter-planted grain crop is coming along nicely. In the cellar, we are racking and filtering our 2010 wines and just releasing the first whites (Organic Sauvignon Blanc) with Pinot Noir right around the corner. Please find below some news from the Vineyards and as always, a safe and healthy season to all! Katrina Frey was invited to address the Washington Spa Alliance’s 2011 Symposium, which took place in Washington DC on March 24. She joined a series of leaders in the fields of integrative medicine, cuisine and healthy lifestyles. Her talk covered organic wine and food issues, GMO’s and Biodynamic farming. Questions from the attendees focused on purity and the need to have additive-free products for truly holistic spas. The mission of the Washington Spa alliance is to act as a knowledge center and to connect spa professionals. Katrina encouraged them to integrate certified organic wine and food products into their dining rooms.